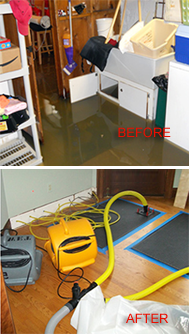 We rapidly remove water in your home or business from flooding, broken water pipes, sewage backup, storms, or any other disaster. We are prepared 24/7 to react quickly to remove water, minimize damage and restore your property. Our crews are on-call 24/7 because rapid response is critical to prevent secondary water damage like mold, fungi or microbial contamination in your flooded basement or home. In addition to visible water in your flooded home or business, unseen water can cause unseen structural problems as it seeps into the foundation, walls, framing and other structural areas. Prolonged exposure to water can also weaken cement foundations, crack open fissures and swell wooden framing, causing warping. So rapid, expert help is necessary to salvage what can be saved and eliminate the possibility of health hazards. 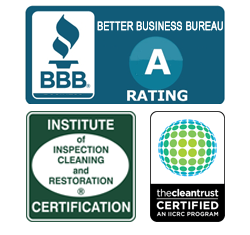 Providing flood cleanup and water removal services to all of Southeast Michigan and the surrounding area including: Wayne, Macomb & Oakland County.